Education is one of the most ancient and respected disciplines in world history. In a civilized society, teachers play the most significant part in shaping people's intellects. The main objective of the FEFU School of Education is to educate competitive specialists who are in high demand in modern society. The Master of Education Degree (M.Ed.) in Cultural Diversity in Education is designed to prepare teachers and other professionals to assume leadership roles in school districts, colleges, universities and other institutions that have projects, courses, and programs related to multicultural education, intergroup education, and race relations. The program "Cultural Diversity in Education" prepares students for careers in research inquiry and teaching at the school, college and university level. Master's degree program "Cultural Diversity in Education" is designed to assist students and teachers in their personal and professional growth as instructional leaders in a society that is undergoing significant demographic changes. Program courses also help teachers as well as administrators increase their instructional effectiveness with both males and females and with students and employees from diverse ethnic, racial, cultural, and social-class groups. This program is advantageous to the rest of your life. Gaining insight on the cultures and backgrounds of other people is so groundbreaking as you journey through your life. If you can understand the people around you, you will be successful for the rest of your life. "Cultural Diversity in Education" considers the problems of monoculturalism versus multiculturalism, explores the nature and reproduction of bias, and develops skills in creating and sustaining multicultural classrooms. Students enrolled in the Master's degree program pursue a course of study that includes overall 120 credits. 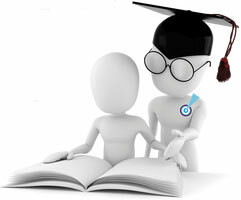 The program consists of continuous research or inquiry in education; courses related to Multicultural Education and fields designed to develop a comprehensive academic basis for future work in educational research and teaching; and other related experiences tailored to individual needs and career goals. Ethnic studies fields from which students may select courses include the following: Intercultural Communication in Education, Holidays and Traditions in Regional Communities, History of Education, Research Methods in Inter-Ethnic Studies, Adult Teaching and Learning, Ethnosociology, Ethnical Communities in Interaction (Russia), Creativity and Education, Grant Writing in Education and others. Courses in the program blend theory and practice and emphasize issues of practice. Each student selects a topic for thesis for the M.Ed. degree and defends the results of his or her research at the end of the 4th term. He/she works closely with a supervisory advisor from faculty to select courses, topics of research and inquiry, and teaching experiences. The program is designed to prepare students for advanced professional practice directed mainly toward the application or transmission of existing knowledge. The program of study leading to the Master of Education, as a professional degree, focuses on the usage of the book-learning, rather than on the production of new knowledge. The student pursues a program of study as well as sequences of appropriate field placements such as supervisory internships and practices. You will join a vibrant community of renowned faculty and intellectually adventurous students who learn in an environment of limitless possibilities. Graduate study at School of Education engages in research that informs and shapes the world around us. We invite you to explore our graduate degree program, our resources, our people, and our community.